BelarusDigest > All > Who Needs the Eastern Partnership? Who Needs the Eastern Partnership? While the European Union is yet again considering using sticks against the Belarus regime, it is unclear what carrots it can offer. Lukashenka's opponents often point to the de-facto exclusion of Belarus from the Eastern Partnership after the post-election crackdown. The question is whether Eastern Partnership has ever been of any value for Minsk – economic or political. Belarusian regime is unwilling to get closer to Europe due to its background and worldview differences. Very often Europe pays only lip service to the Belarusian issue. The head of the European Parliament Jerzy Buzek recently said in Tbilisi that “the worst situation is in Belarus. The EU has shown willingness to dialogue with Minsk. However, the response to our openness was police and prisons for the opposition”.Yet such openness does not cost much in economic and political terms. Politically, the European Union has done next to nothing in its Belarusian policy. No wonder, Belarus borders on no major European state, except for Poland, which has its own problems with the rest of Europe because of its pro-American stance. The Polish analytical journal 'Nowa Europa Wschodnia' recently published an article criticizing Eastern Partnership. The article authored by Przemyslaw Zurawski vel Grajewski concluded that this EU initiative has never been a serious undertaking. Now it is so hopeless that even Poland which has been one of its main proponents should better put it aside altogether. So what is wrong with Eastern Partnership? 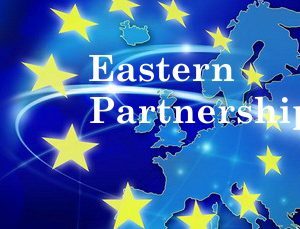 The Eastern Partnership has been conceived by Poland and Sweden in 2008 to respond to the French idea of 'Union for the Mediterranean'. Poland, Sweden and Germany were particularly worried about that French idea. Yet, when Poland and to a lesser extent Sweden were always interested in dealing with Eastern Europe, the German government probably was motivated by competition with France, argues the Polish scholar. This French-German quid pro quo allowed for the European Partnership to proceed behind the realm of thought. Russian aggression in the Caucasus in August 2008 caused a wave of protests in the West which created a favorable momentum for the new European policy towards post-Soviet nations. Yet that shaky foundation has predetermined the future of this endeavor. No other major EU country displayed any interest in it, and even Germany effectively disengaged itself by the very first summit of the Partnership in Prague, in May 2009. Germany did not send any high rank officials to that meeting, reminds Zurawski. Russia again became an acceptable partner for the EU. Strong Eastern Partnership risked to become just a nuisance in the EU-Russian relations. No wonder, that the Eastern Partnership initiative failed to receive significant financial support from Brussels. To fund cooperation with all six Eastern European countries the EU was willing to spend just 85 million Euro in 2010, 110 million in 2011, 175 million in 2012 and 230 million in 2012. And though further funding can be available from other parts of the EU budget, it is obvious that the Eastern Partnership was never at the top of the EU agenda. 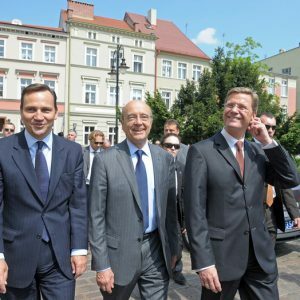 It appears that the only serious proposal to Belarusian government was made during the visit to Minsk by foreign ministers Sikorski of Poland and Westerwelle of Germany prior to the 2010 presidential elections. They offered 3 billion Euro for election process minimally acceptable for the EU. Belarus authorities eventually decided that it would be a suicidal move for them to follow those minimum standards. Instead, Lukashenka is hoping to get financial support from Moscow without taking the dangerous European route. Ironically, he hopes now for the similar sum from Moscow, and has also to accept some not completely disclosed conditions which may be not less dangerous for his political survival than the Polish-German proposal. It is clear that at the moment and in the foreseeable future the EU is unlikely to make any major changes in its policy towards Belarus. Perhaps, only the threat of total economic collapse and political instability in the country will make the European politicians change their minds. Jerzy Buzek pointed out other potential troubles that the Belarusian regime may cause, “what is attempted there will be copied by other countries in some other regions of the world. Belarus is becoming a social and political laboratory for non-democratic forces. This is why we cannot be indifferent”. Do not forget, however, he is Polish and very often Polish voice has been neglected by western Europeans. Will the EU Countries Agree on a Common Reaction to the Political Situation in Belarus? Sanctions could therefore target state petrochemical conglomerate Belnaftakhim, petroleum product exporter Triple, potash giant Belaruskali and Beltechexport, an exporter of weapons and military equipment. What is planned is "not a general embargo, but something which will make life difficult for companies which finance the regime," said Polish Foreign Minister Radoslaw Sikorski according to Western media. German Foreign Minister Guido Westerwelle underlined that sanction should affect the regime, not the people in Belarus.